Located in North Yorkshire, Skipton is a market town within the district of Craven. It has a population of around 15,000 and a good selection of property to suit a variety of tastes and budgets. At My Home Move Conveyancing we’ve been developing our knowledge of markets like the one in Skipton since 2001, allowing us to bring a specialist, fixed fee conveyancing service to our clients in the area. When you buy or sell property in Skipton, you must instruct property lawyers to carry out the legal work on your behalf. 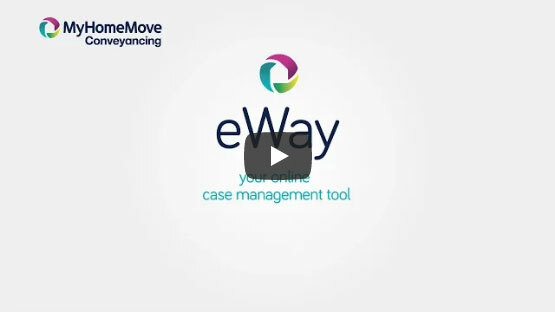 My Home Move Conveyancing offers our clients in Skipton an award winning level of customer service, innovative use of technology and intimate knowledge of the local market. Our conveyancing service is both professional and friendly, and comes with no hidden extra charges to worry about. You can budget for exactly how much you’re going to pay from the outset when we act as your Skipton conveyancers, and if you don’t end up completing for some reason, you won’t have to pay us anything in legal costs. We’ll assign you a dedicated conveyancer who’ll take care of all aspects of your case from start to finish, providing you with a consistent point of contact and regular progress updates. At My Home Move Conveyancing we get things right first time round, which helps us to achieve more completions per year than anyone else. We’re pleased to provide our conveyancing services in Skipton to house hunters looking for homes close to the town centre, on the outskirts with great access to the surrounding countryside, and in nearby villages such as Bradley and Embsay. The average house price in the district of Craven is £203,425, while the overall average sale price in Skipton during the past year was £210,935. Most sales in this period involved terraced properties, which went for an average of £162,457, while semis fetched £224,069 and detached houses sold for £377,646. Mentioned in the Domesday Book of 1086, Skipton is a town with plenty of history. From the town’s castle which was built towards the end of the 11th century to the historic High Corn Mill which dates back to 1310, there’s lots to discover if you want to explore the local area. The modern town has all the amenities you need, from shops to pubs and nightclubs, as well as fabulous access to swathes of beautiful countryside including the Yorkshire Dales. Skipton has its own train station which you can use to get to cities such as Leeds and Bradford. Services to both of these cities take around 40 minutes, making Skipton a great place to live if you want to live in a more rural setting and commute to work. There aren’t any motorways very close to town, so you’ll need to use the network of local A-roads to get around, while Leeds Bradford Airport is less than 20 miles away by car. Skipton has some excellent schools for families with children to take into consideration, including Water Street Community Primary, Christ Church CofE, St Stephen’s Catholic Primary and Greatwood Community Primary. At secondary level Ermysted’s Grammar, Skipton Girls’ High and Upper Wharfedale School are among the best options. All properties in Skipton will fall within one of the following council tax bands.